Roberto Pitri is a flute/sax player from Panama who recently brought another virtual United Nations band to the LP® studio to play a salsa tune. Keyboardist Chiemi Nakai is from Japan, drummer Diego Lopez is from Italy, bassist Carlos Pino is from Cuba, and conguero Emmanuel Bizeau is from France. Each player brought their unique style to the clavé. The tune, "The Bronx Zoo", speaks for itself. 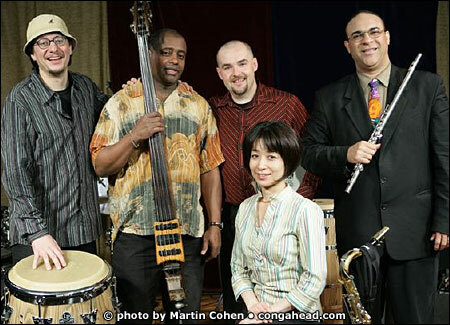 Tambo Jazz consists of Roberto Pitri on flute & sax, Emmanuel Bizeau on congas, Diego Lopez on drums and cowbell, Chiemi Nakai on piano and Carlos Pino on bass.